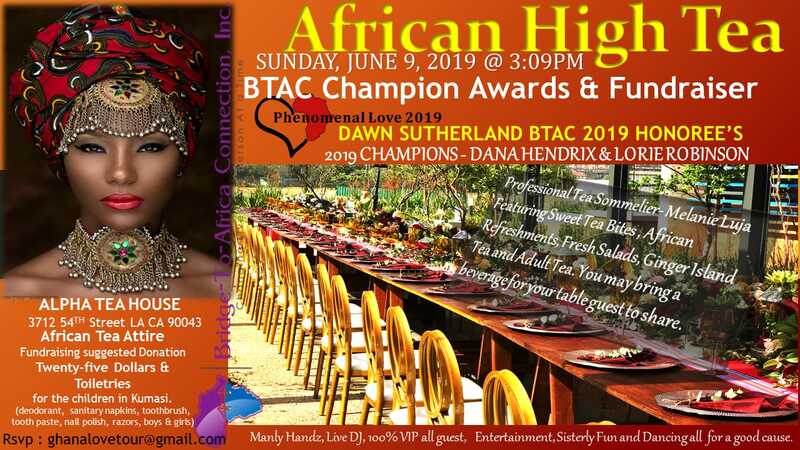 Bridge-To-Africa Connection Inc. (“BTAC”) is a U.S.A non-profit 501(c)(3) organization dedicated to the belief that healthier women and children mean stronger societies. 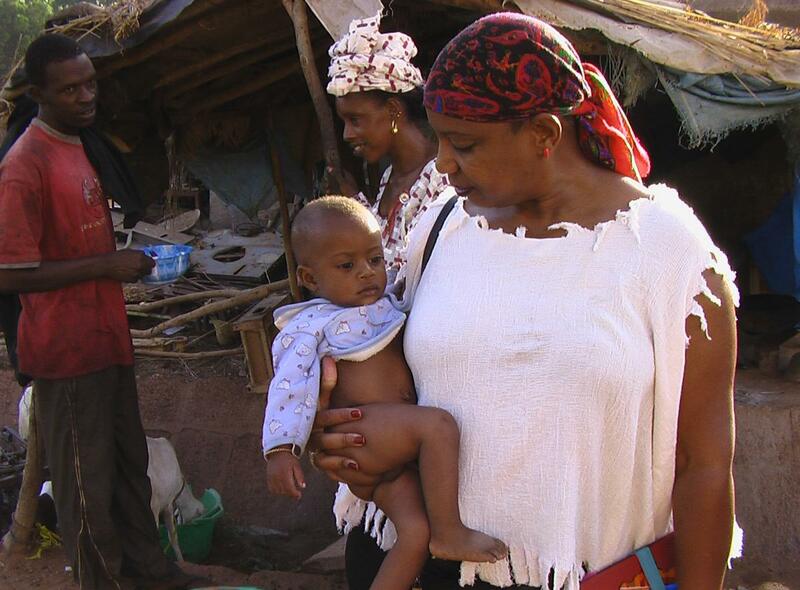 Investments in the health and empowerment of women and children are investments in the social and economic development of the communities in which they live. 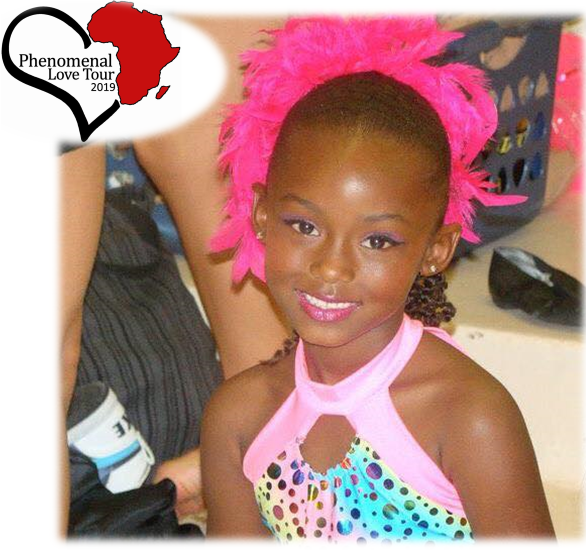 The key philosophy is: Impacting one woman will impact her entire family. The family will impact the village, thereby building the bridge to an enriching, healthy society. Giving is not just about making a donation. It is about making a difference. 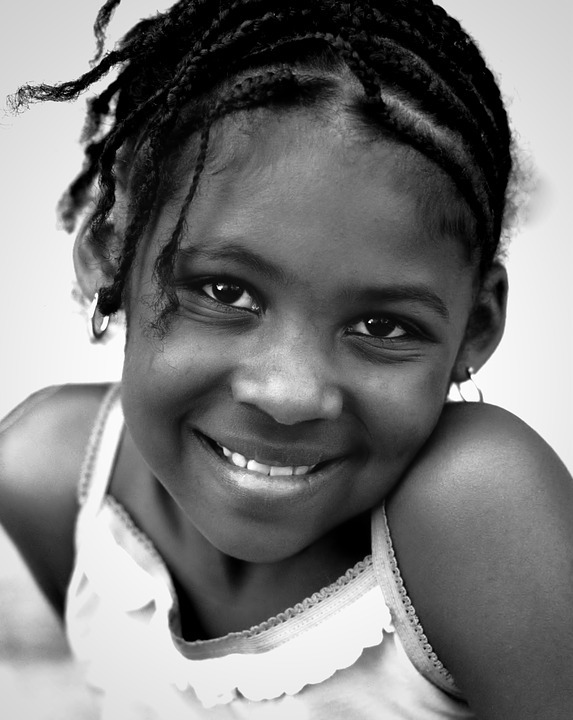 Bridge-To-Africa Connection, Inc. is a U.S.A non-profit 501(c)(3) organization dedicated to inspiring women and children through education and economic empowerment focused initiatives. 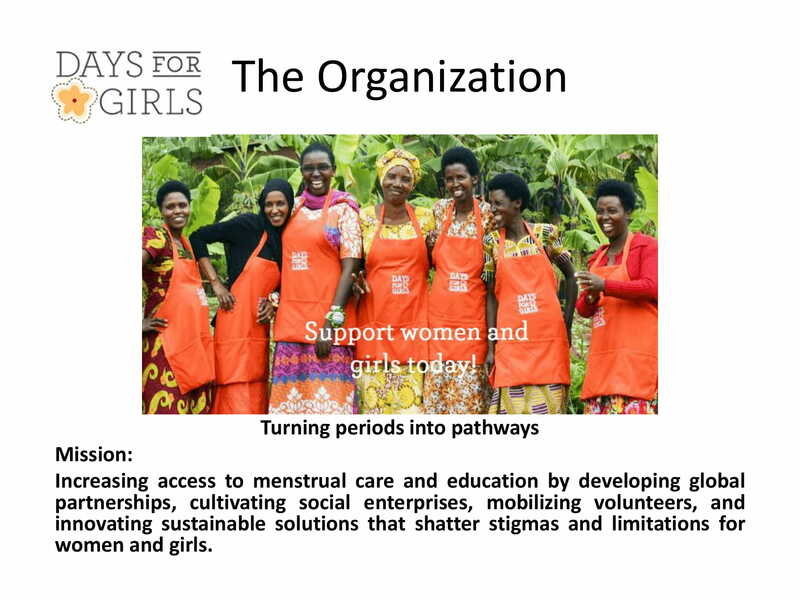 Ladies, just imagine your life without the proper products during your monthly menstrual cycle, in addition, no toilet or water to wash up properly. 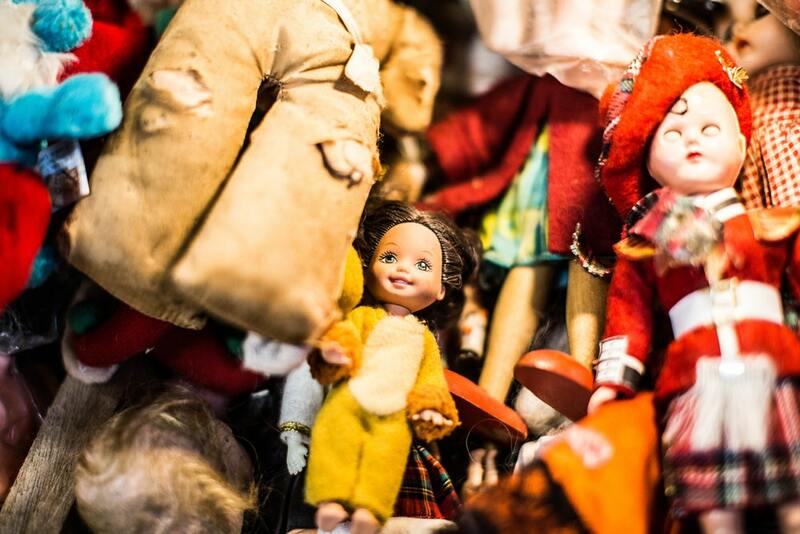 Traveling to another country is a great way to learn more about the world surrounding us. 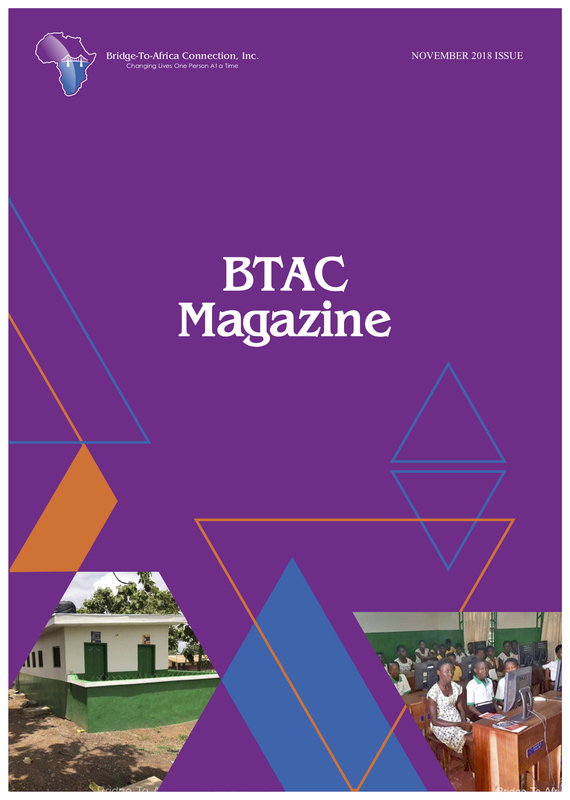 Several Inspirational Women from diverse backgrounds will travel from the USA to Ghana on one of many mission trips to work with the BTAC Family and help change lives “One Child at a Time”. 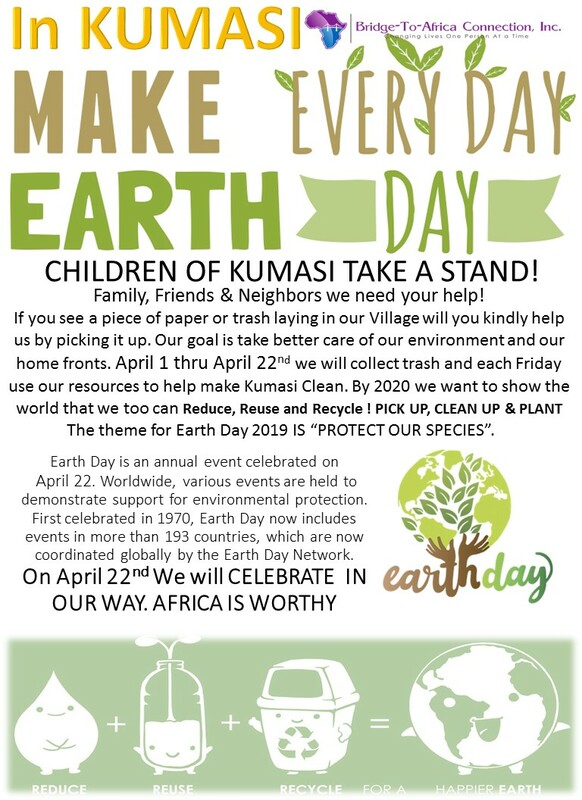 CHILDREN OF KUMASI TAKE A STAND! 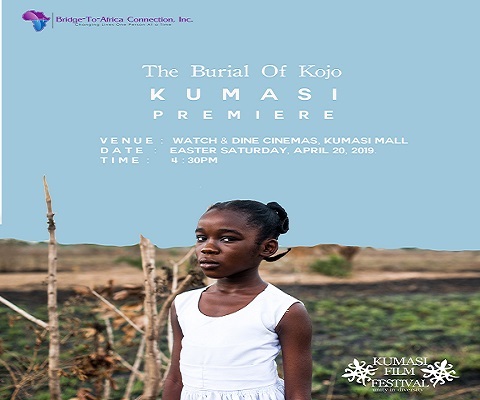 The award winning Ghanaian film ‘The Burial of Kojo’ will screen on Easter Saturday, 20th April at 4:30pm. 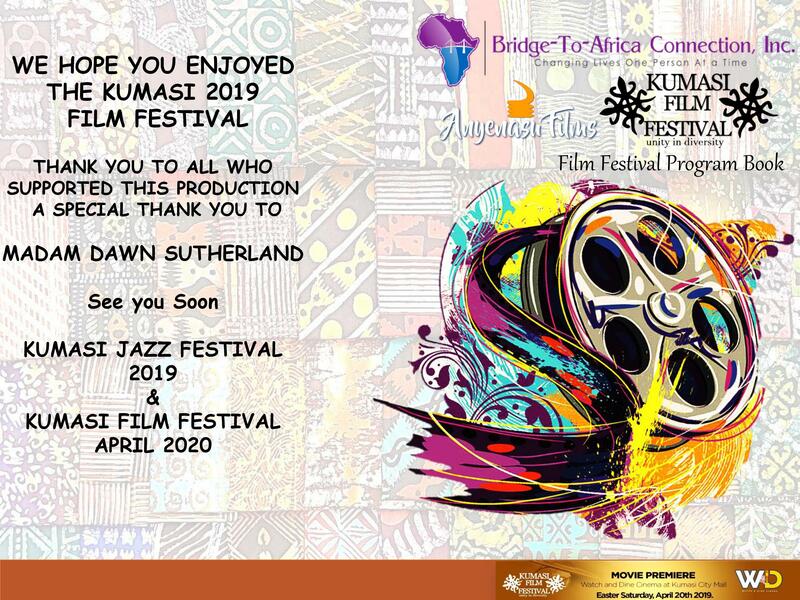 The film is written, and directed by Blitz Bazawule, and stars Ama K. Abebrese and newcomer Cynthia Dankwa who will be present at the screening in Kumasi. 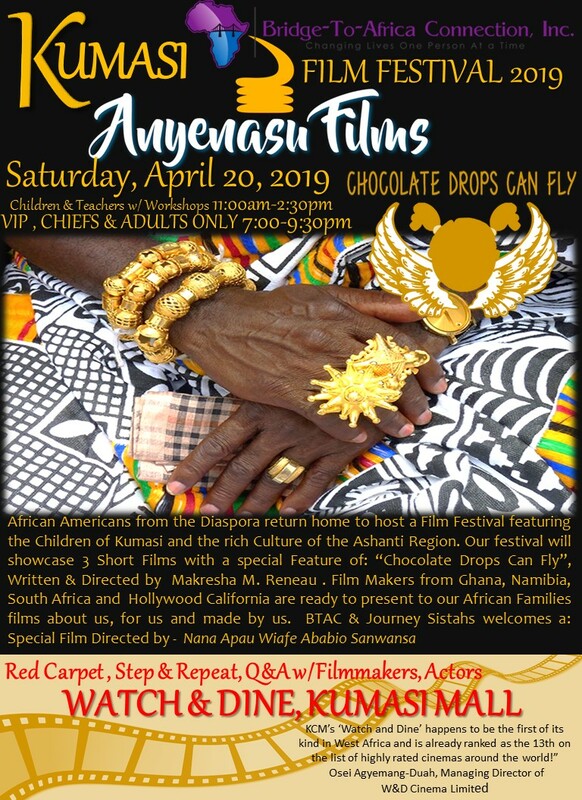 African Americans from the Diaspora return home to host a Film Festival Featuring the children of Kumasi and the rich culture of the Ashanti Region. Our Festival will showcase 3 short films with a special Feature of: “Chocolate Drops can Fly” Written and Directed by Makresha M. Reneau. What an amazing year it’s been working on this special project for the Children, Schools and People of Ghana, West Africa. Our Journey started with a Vision and a lot of hard work and dedication, this small vision turned into a big reality.